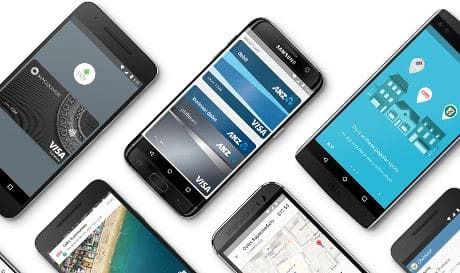 Google has begun rolling out its Android Pay mobile payment service in Australia with support from American Express and Visa. The service will be available from 27 banks and credit unions at launch and from an additional seven financial institutions “soon”. MasterCard support is expected “in a few days”. Banks making the service available at launch include ANZ, Bank Australia, Macquarie, MyState Bank and Teachers Mutual Bank. Support from Westpac, Bank of Melbourne, Bendigo Bank, Bank SA, ING Direct, RAMS and St George Bank will be added at a later date. “In a few days time, you will also be able to speed through checkout using Android Pay in your favourite apps — including Catch of the Day, Deliveroo, Domino’s, EatNow, Hotel Tonight, Kogan.com and many more,” Bhat continues. Android Pay was unveiled during the Google I/O keynote in May 2015 and was launched across the US in September 2015. The service made its UK debut in May 2016 after Google’s Spencer Spinnell hinted that a European launch of the mobile payment service was imminent earlier this year at Money20/20 Europe. It launched in Singapore last month.